2019 has arrived and Bucharest will be the first venue to stage a Dota 2 Pro Circuit event this year. The Romanian tournament will provide the last chance for one of eight teams to qualify for the Chongqing Major directly. Another temptation will be the prize pool of $300,000, of which $125,000 will go to the winner. The tournament starts on Wednesday (January 9) with the champions being decided on Sunday (Jan 13). Although there are some prominent names such as OG, the Minor seems far from decided with quite a few up-and-coming teams ready to challenge the status quo. Gambit, 4.450 2nd favourites with Dafabet, won the CIS qualifier and will arrive as the champions of WePlay! Dota 2 Winter Madness, having defeated TI8 champions OG 3-0 in the process. The arrival of fng from Team Spirit and Immersion from Espada on loan gave quick results. fng’s drafting expertise is already evident, while the other new arrival gave more convincing performances in the position 4 role. Gambit are a team who normally start slowly before gaining momentum. In terms of in-game strategy, they do not normally focus on the laning stage, but manage to catch up in the mid-game and once the rotations start, they dominate their opponents. The Russian team will be hoping to qualify for their second Major this season, having already played in the Kuala Lumpur one. TI8 champions OG come into the event as the favourites (2.850). Unsurprisingly, they managed to win the European qualifier for the Minor. However, in keeping with previous TI winners, the team are struggling to show the magic that won them the most coveted Dota 2 prize. OG are not just struggling with their form. 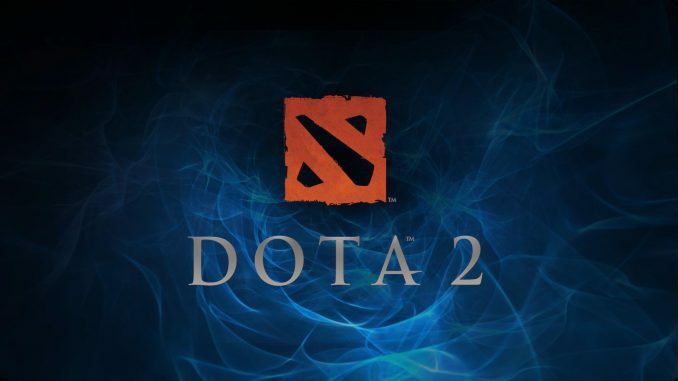 They have also lost a vital member in ana, who announced a long competitive break from Dota 2 earlier this season. Pajkatt was the one to fill his spot during the qualifiers and it’s likely that he will be in Bucharest as well. OG profess a late-game–orientated play style and are a team who excel at playing with disadvantage and coming from behind. Ninjas in Pyjamas, 3rd favourites at 4.480, were the second-best team in the European qualifier. ppd’s new team had a great performance at the Kuala Lumpur Major, where they finished 4th, but since the 7.20 patch, the team’s performance has somewhat declined. The American captain has vast experience on big stages (he was a TI5 champion) and proved that he is also great at spotting talent by finding 33 last season. The Israeli is an excellent space maker and is able to turn the tides of a game by himself. NiP tend to rely a lot on Ace – a solid carry, who has demonstrated that if he has enough space he can win games on his own. BOOM ID (50.800) are already one of the surprises of the tournament, having managed to eliminate Mineski, as well as Clutch Gamers, in the South-East Asian qualifier. The entirely Indonesian line-up will be playing on the stage of a DPC event for the 1st time. The team love big engagements and team fights and excel at five-man pushes. BOOM ID usually peak in the mid-game, where they tend to compensate for a sometimes poor laning stage. A hero they really make good use of is Io and other teams should take notice of that. Playmakers Esports, rank outsiders at 118.410, will be another debutant at this level. They won the South American qualifier and shocked EternalEnvy’s Infamous, who had been the favourites to progress. They actually beat Infamous twice over the course of the qualifier, including claiming a 2-0 win in the final. Faker demonstrated that he is a great mid player, while his team are most successful when playing ganking style, especially versus late-game line-ups, and pressuring their opponents to fight in the mid-game before eventually pushing. Team Team (78.940) are yet another squad who were not expected to qualify for the Minor. The team, recently formed by the veteran ixmike88, surprised compLexity 2-1 in the final as they triumphed in the NA qualifier. However, their players have not yet attended a DPC event. Team Team like to gather as five and seek engagements in the mid-game. The Americans are fond of wombo-combo line-ups with heroes such as Lich, Dark Seer and Earth Spirit and strong team fight heroes in general. Ryoya is a very aggressive player who can make things happen for his team. EHOME (4.670) have been away from the big Dota 2 scene for quite a while now. The team are seeking the formula of success, but it’s not easy living in the shadows of the behemoths of the Chinese region. Two TI6 champions with Wings Gaming, y` and Faith_bian, are on the roster, to which three loan players have recently been added. As a result, EHOME finished 2nd best in the Chinese qualifier, losing only to Keen Gaming. The team have a preference for disabling and controlling supports such as Shadow Shaman and Lion. Support play is at the core of their game and they will look for 天命 and y` to set the team up for success in the laning stage. Keen Gaming (7.350) won the Chinese qualifier convincingly, although they were given a run for their money in the final of the qualifier, beating Team Root 2-1. The squad was considerably strengthened this season and it’s already showing results. Experienced players such as eLeVeN, Kaka and old chicken all joined. While 一and dark are less experienced on paper, it does not show much in the game. Keen love playing with early-game push line-ups that help them secure the map control while farming for the late-game hard carry.